Kiss the muffin top buh-bye and say hello to a flatter belly in 14 simple days. Amp up your energy levels with a delicious whole foods metabolism boost. Slip into a bathing suit that you’ll be proud to rock just in time for Summer. Wave goodbye to toxins that are causing unwanted weight, so you feel better inside & out. My name is Jennifer Wolfe, MS, CSCS, CPT-PMA and I’m a Holistic Health Coach through the Institute for Integrative Nutrition, Fitness Studio Owner, Exercise Specialist and mother of 3 active and amazing boys! I created this program because I love helping people become RIDICULOUSLY AMAZING with Fitness, Nutrition and Life! So often, we eat foods that we think are healthy because the label tricks us, because the magazines say so, because the diet books say so, but they are actually causing us embarrassing gas, uncomfortable bloating, headaches, skin issues, immune system breakdowns and inflammation that can actually be painful. I know I’m FED UP, are you? 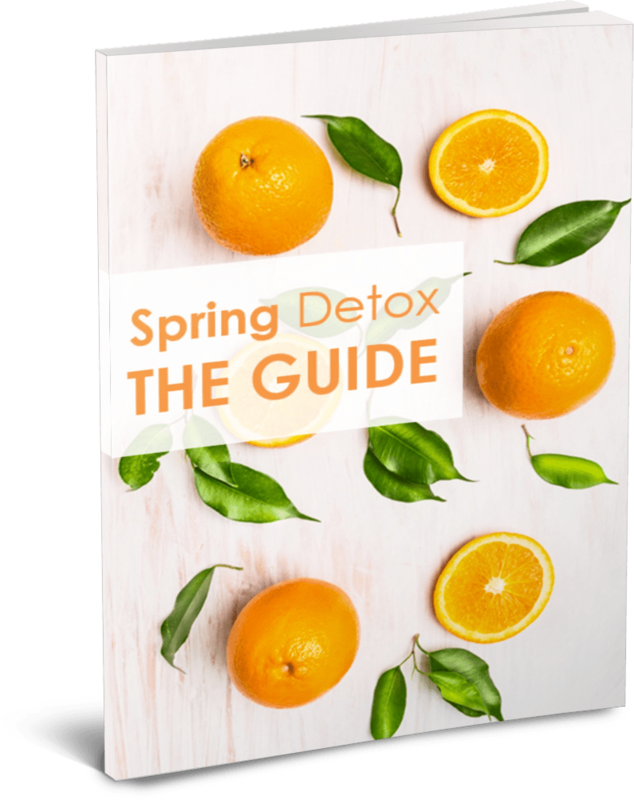 The Spring Detox Program is about discovering what works for YOU and YOUR unique body. No more guessing, no more hopping on and off of different diet roller coasters, and no more frustration because nothing seems to work. Say hello to tapping into your unique body blueprint which will give you limitless wisdom on which foods will love your body back. Did you know: Your body is carrying roughly 5-10 pounds of toxicity (a.k.a inflammation) at any given time. Which means that headache, bloated belly, or that extra weight that’s staying on? Yep. Probably toxicity. Lose an average of 3-5 pounds in one week - naturally! Feel lighter and have tons of energy - take the dance floor by storm! Kick sugar cravings to the curb - learn how to enjoy healthy sweets! Sleep peacefully through the night - no more dark circles under those eyes! Decrease inflammation - and feel amazing in the buff! Get ready for bikini season - with confidence that could kill! Day-to-Day At a Glance Guide: This day-by-day overview of your program makes it easy to know what you’re doing each day with just a glance! A Shopping List : This list will make your shopping trips super simple, which means an easier, breezier detox for you. Bonus: Cheat sheet on how to avoid toxins in your everyday life. Second, this detox is based on the elimination diet, so you’re working with a proven, three-prong approach used by functional medicine doctors and world-class nutrition experts. I’ve just broken it down for you so that doing the elimination diet is easy peasy lemon squeezy. Then sign up for this Spring Detox adventure.